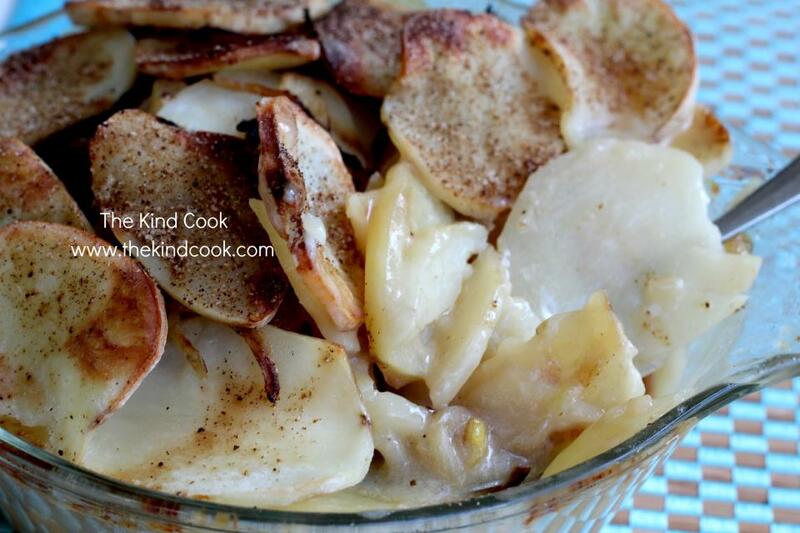 Growing up my mum use to do scalloped potatoes. She would make them with cow’s milk or stock, always generously topping it with Season ALL. She then covered it in glad wrap and cooked it in the microwave. I use to cheekily pull all the well seasoned slices from the top once it was cooked. My cooking and ingredient preferences have changed dramatically since all those years ago but as with most old favourites there is always a way to reinvent them. I have tried this a few times with almond, soy and rice milk but my favourite outcome was with the oat milk. I can now create memories of creamy potato bake on cold nights for my son. Heat some oil in a small pan and cook the onions till caramelised. Once done, set aside. While the onions are cooking blend the oat milk, egg replacer and stock together and set aside. Layer the potatoes and onions in an oven proof casserole dish, pour the milk mixture carefully cover the top and cover with foil. Place in the oven for 30 mins, then remove from the oven, generously sprinkle some season all over the top and place back in the oven uncovered for another 30 minutes. Serve with vegetarian sausages or vegie burgers and loads of crisp fresh salad. Time: Preparation time is 20 mins. Plus 1 hour of cooking time.